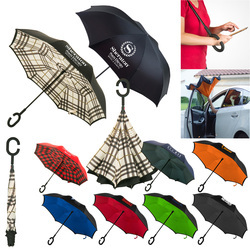 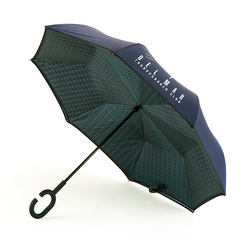 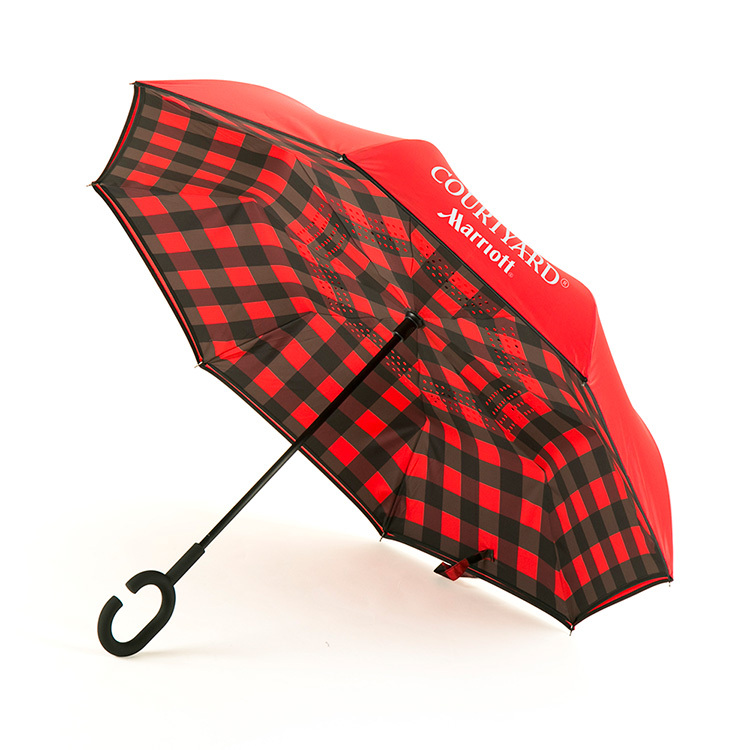 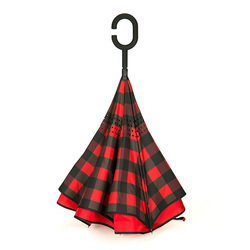 Reverse open/close technology ensures that your wet umbrella will drip AWAY from your car, your floors, and YOU! 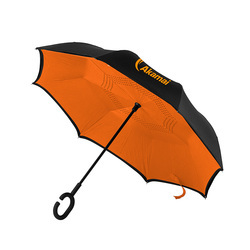 Double layer 190TPG polyester fabric with perforated liner and resilient fiberglass frame designed to stand up to the strongest winds. Push button handle for easy open, C-shaped handle for easy carrying and hands-free capability. 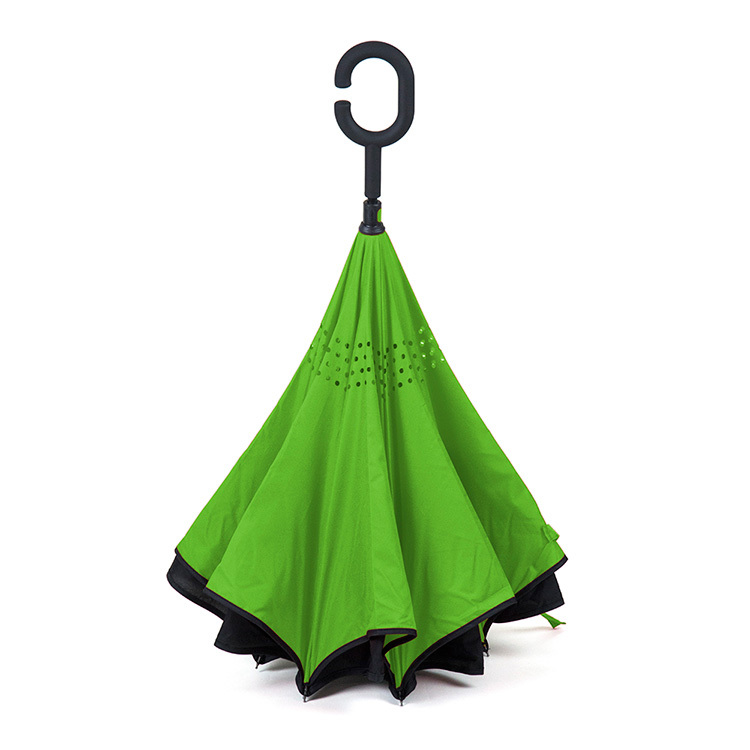 Self standing for easy drying! 30” L × 48” Dia.